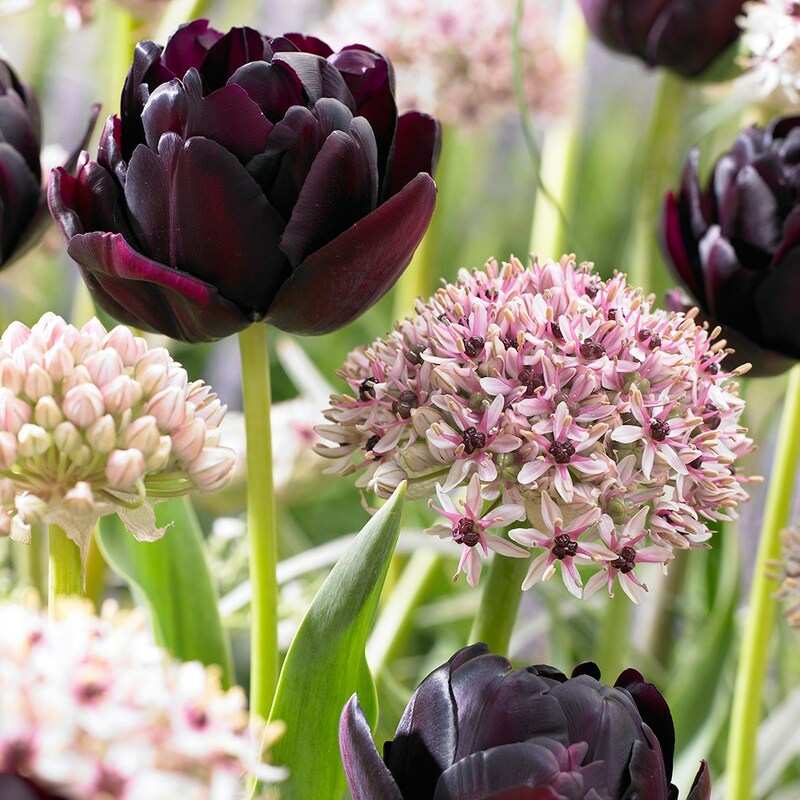 We fell in love with this new Allium as soon as we saw it. 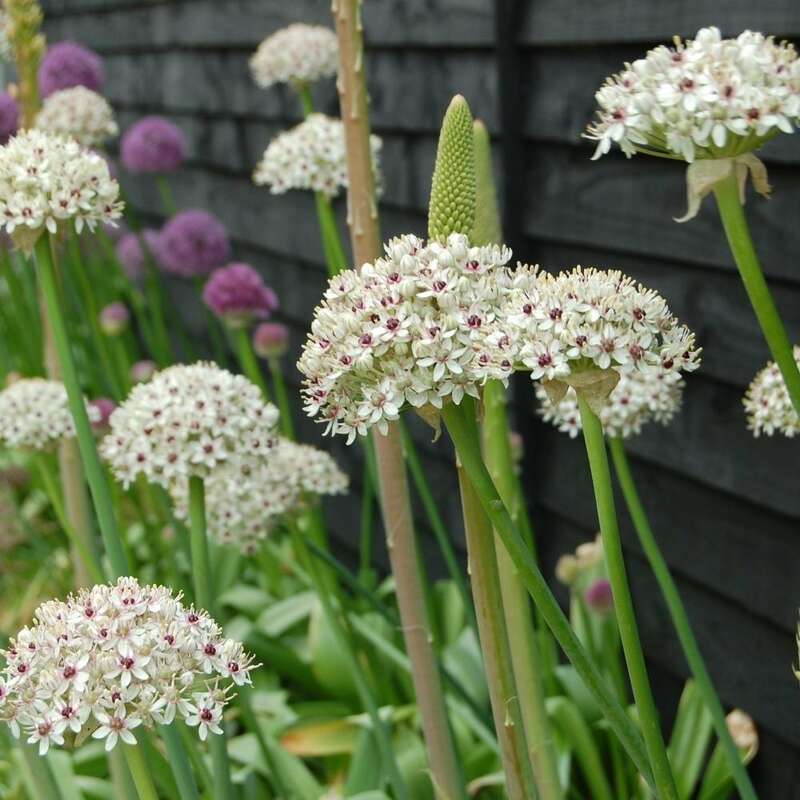 In early to midsummer each upright stem is crowned with a rounded cluster of small flowers, each with a ruff of rounded white petals that surround a prominent blueberry-purple centre. They are great for adding structural interest to the border, and their flowers are ideal for cutting.